Offering you a complete choice of products which include ptfe coated washers. We provide a wide range of PTFE Coated Washers, industrial coated washers that provide exceptional corrosion resistance and removal attributes. Low friction PTFE coating improvises the fasteners in terms of efficiency, life expectancy, and corrosion resistance. 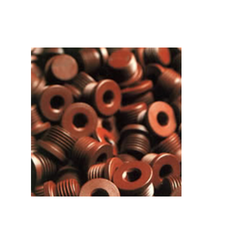 Our range of coated fasteners is widely used on B7 studs with 2H nuts. Moreover, PTFE coated connectors have out-performed all others in aggressive any noticeable effect.